Hey Everybody, my name is Sarah and I've been interning at Constellation & Co. all summer long. I am a graphic design student at Ringling College of Art + Design, which is how I know Sara and Brad. They were graduating while I entered the school! I had contacted Constellation because I was interested in branding and I love working with typography, and Constellation has done a lot of beautiful work that I am impressed by. I have never had an internship before nor have I done much "real world" client work before either, so I was really excited to work for a studio and dip into the creative world. The first day of my internship I was introduced to the studio, a small space in a beautiful but very old building in Seattle. The studio is very cool, with prints lining the walls, cans of paint stacked in the corner and a very old antique letterpress in the middle of the room. I have seen letterpress done before but never really understood the beauty of it before coming here. I, personally, am not a big print designer as I tend to leans more towards working digitally. But who doesn't love beautifully printed things? I got the opportunity to observe the printing process and learn about the tricks and techniques to printing. I quickly learned that designing for letterpress is different then my usual style of designing. I had to learn the limitations such as certain colors of ink printing on certain papers. This is not something they teach us in school, which is unfortunate because all designers will eventually have to work with printers. I am glad that I understand at least the beginning of it now. As soon as I started at Constellation, we already had two branding clients. I was so excited to jump into this as identity design is really what I want to specialize in. One of the clients was a bakery, which Constellation had already started designing for. I wish I could have been there from the start though, because I love talking to clients about what they have in mind for their business and seeing their excitement as the process begins. Our other client was for a new homebrewing supply store. I did some of my own logo designs for both branding projects and did a lot of variations of previously designed logos. I also designed business cards and stationary. What I liked most about the bakery branding project was the overall feeling that the client wanted to portray, a simple and classic look, which I feel like is parallel to my style of design. I leaned a lot about the process of designing for clients as well, since you don't know what they'll like or not, and you have to continuously push your designs further. Throughout the summer I also worked on a couple of other various design jobs, including a business card and wedding invitations. I also conceptualized two weddings on my own and designed the invitations, cards, and rsvp's for them. While the design for wedding invitations isn't as everlasting a logo design, it is branding nonetheless, and the process of conceptualizing, drawing inspiration and designing is the same as any real world project would be. I liked doing all of the wedding stuff because I've never worked on anything wedding related before. I also like working with type, and typography also plays a huge role in wedding invitations. My ultimate goals for my summer internship were to gain real world experience and design new things. Constellation has assisted me in both of those goals, as I worked with actual clients and attended a couple of actual client meetings. Design is for people, and too often as students we get so used to designing only for ourselves, and not the world around us. It was great to work with someone on helping them develop their own business' growth through our designs. 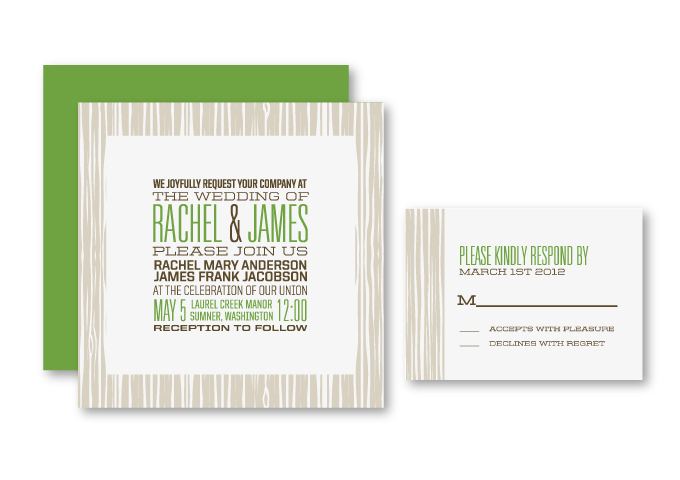 I also got to design new things, like the wedding invitations, and design in new ways, like designing for letterpress. I can't say that I am most proud of any singular thing that I did this summer, as I liked a lot of what I did- I like where our bakery logo ended up, I thought some of my designs for the homebrew supply store were really strong, and I liked my wedding design concepts. I think what will be most exciting though is seeing everything printed and real- cards that I can hold in my hand, business cards I can save, and seeing the final logos printed on stationary and websites. Constellation & Co. allowed that to happen for me. Thank you, Sarah, for spending your summer with us!